Imaginepolitik is thrilled to help acclaimed independent journalist Brad Friedman continue his excellent work at Brad Blog. 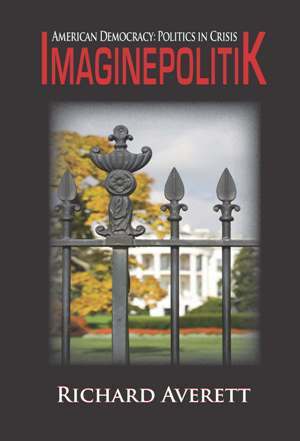 Brad’s investigative work on electronic voting manipulation has been groundbreaking and was the inspiration for a key plot turn in Imaginepolitik. You can help support his work by following this link to a Premium Offer for contributors. Bruce Mulliken writes a newsletter on renewable energy developments and research that I've followed for years. His ability to see the big picture, challenge traditional concepts and 'get technical' is enlightening and motivating. This article from his August 29, 2011 newsletter is typical of his insights. BUDGET DEFICIT FOLLOWS TRADE DEFICIT. make the steel to make that machine. Of course some made profits too. from an economy when imports exceed exports for a long period of time. 20 percent of the trade deficit for the year. us than we own of them." efforts to rein spending to help retain or create new jobs though. in people's pockets. Either way, fewer candy bars will be bought. Somewhere down the line a steel worker will lose his job. Other work to reduce the trade deficit is coming from the White House. down and exports of cars and trucks could go up. products engineered, designed for global markets. *Reprinted with permission from the author. See more from Bruce Mulliken at Green Energy News. Occupy Monterey Peninsula (California’s Central Coast) held its first meeting last Saturday, and I attended my first protest rally. I’m very proud of the young people that organized the rally, and of the 200 people in attendance. They were patient, non-violent and smart about the issues. I was embarrassed that it was my first in-person involvement in a group rally . . . but glad I finally showed up. The parallels with Imaginepolitik were clear: both the fictional story and the OWS movement use the tool of mass protest in multiple cities to attempt to take back democracy from a short-sighted, cannibalizing corporatocracy. Capitalism isn’t the problem. But when the power of money begins to manipulate industries, society and government policies to bring its owners more power and more money, capitalism is no longer simply an economic system. It becomes an oligarchy or fascist state, where a few conglomerate corporations and individuals control economic life. The capitalist system is based on competition, voluntary exchange and informed, equal exchangers. No society has every experienced this ‘pure’ equilibrium. In this country and in many others, competition exists only between job seekers. Voluntary exchange nowadays is being able to choose between buying something and doing without. Informed exchangers assumes everyone has a law degree from a top-ten law school. And equal exchangers exist only at the local garage sale. I still feel uncomfortable participating in a group. I still can’t bring myself to join a political party. The group and its other individual participants will have different views and solutions than I have. They have different lifestyles, different priorities. But the sooner I admit that I can’t compete with corporate America by myself, the sooner I’ll recognize these people as my allies and our only hope of retaking our democracy. So it’s time I join the chorus. By and with permission of Steven Conn, professor and the director of public history at Ohio State University. Steven has authored dozens of op-eds which have appeared in newspapers around the country. Economic growth and new jobs haven't materialized. It's been 10 years since George W. Bush began cutting taxes, especially for wealthy individuals and large corporations. The bills he signed to do so had names like the "Economic Growth and Tax Relief Reconciliation Act," the "Jobs and Growth Tax Relief Reconciliation Act," and the "American Jobs Creation Act." As the names suggest, these huge tax cuts were supposed to stimulate the economy and create jobs. The theory was that shifting vast sums of money to big corporations and the wealthiest Americans would enable them to invest in new businesses, expand existing ones, and bring greater prosperity to the rest of us. So, 10 years later, it's worth asking: Did it work? Figuring out cause and effect when it comes to economic policy is always tricky. Although many economists pretend otherwise, economics is not a hard science. There are more variables than you can control for, and you don't get to run the experiment twice. Still, let's look at some numbers. In mid-2003, the Bush administration predicted that by the end of 2004, its tax cuts would create 5.5 million jobs. The administration also acknowledged that even without the tax cuts, the economy would probably add 4.1 million jobs during that period. The actual result? The economy gained only 2.6 million jobs. In fact, Bush's job creation record in his first term was among the worst since Herbert Hoover's. And the numbers are even worse than they appear, because many of those jobs were produced by increased military spending related to the wars in Iraq and Afghanistan. In the middle years of the last decade, the most robust sectors of the economy - housing and real estate - were fueled not by big tax cuts, but by a bonanza of home-equity loans and other forms of easy money. We all know how that turned out. And at the end of Bush's second term, of course, the economy fell off a cliff. By the time he left Washington, unemployment was soaring toward 10 percent. So much for job creation. So what happened to all the tax-cut money that was supposed to be invested? Some of it was invested in hedge funds, derivatives markets, and other places where it made rich investors richer but produced little of any value for the economy. And, by 2003, more American money was being invested overseas than in the United States. In other words, those tax cuts did help create jobs - in China, India, Brazil, and other foreign countries, but not in the United States. Since we didn't get the jobs we were promised, what did these tax giveaways cost us? It's hard to calculate the lost revenue with precision, but the consensus is that the Bush tax cuts have cost about $2.8 trillion over the past decade. Add that to the costs of the wars in Iraq and Afghanistan, which are approaching $1.5 trillion, and you have enough to more or less clean up our current fiscal mess. In that sense, today's deficit was created by tax cuts that were too big and wars that were fought with credit cards. It's important to revisit this recent history given the current budget debates around the country. In Washington, congressional Republicans have said everything is on the table in budget negotiations with the White House - except any increase in taxes on the wealthiest. And in states from New Jersey and Pennsylvania to Ohio and Texas, massive revenue shortfalls are being addressed with equally massive cuts to spending on education, health care, and other services. Republican governors have refused even to consider raising taxes on millionaires or large corporations. And in all these places, we hear the same refrain: Tax cuts create jobs! But clearly, in the last decade, they haven't - unless you're looking for work in China. Remember that old definition of crazy? It's doing the same thing over and over and expecting different results. Given the evidence at hand, the Republican position on taxes - that if we keep moving money from the middle class to the rich, we'll all benefit - starts to sound pretty crazy to me. One side says we should selectively raise taxes (or reduce tax subsidies); the other says we should cut taxes. The media coverage is about the fight – as it usually is – and not about the underlying arguments. Maybe it is time to step back from sports metaphors and ask ourselves ‘what are we trying to accomplish’. Taxing people and corporations is an age-old method of allocating the cost of society’s common benefits among those individuals and entities able to pay. America adopted a progressive income tax, meaning the marginal rate of taxation increases as income increases. For the last sixty years, income tax has been the largest single source of federal revenue. Individuals pay over eighty percent of income tax revenue. Corporate income tax as a percent of federal revenue is one-half what it was sixty years ago. We hear that America’s corporate income tax rate (maximum 35 percent) is the highest of any industrialized country, yet the effective tax rate is one-half of the maximum. And that is on those companies showing a profit. Imagine if individuals paid income tax on their disposable income rather than on their gross income less deductions. But back to the point: What are we trying to accomplish by taxing the income of people and corporations? Clearly the objective is to raise enough money to fund priorities established by our elected representatives. Determining the proper amount is a political decision rightly decided by our Congress. An inseparable, though not the paramount objective is to raise revenue in an equitable way that supports a sustainable economy and encourages entrepreneurship, sound risk-taking and hard work. A tax structure has got to be fair enough that society and individuals accept its legitimacy as well as its burden. Fairness is a subjective term, but I believe America has a shared sense of fairness – at least we collectively know what’s not fair. Recent discussion about tax subsidies for corporate jets is heated, but it is not about fairness. Even those who oppose elimination of the subsidy don’t argue fairness; it’s just too blatantly unfair to defend. Instead, they claim elimination of the subsidy amounts to a tax increase, and they oppose tax increases. Really? You expect us to believe that you’re defending us all against a stealth tax increase? Taxes should be lowered they argue, but their implication is that the distribution of the income tax burden is just about right as codified in the 17,000 pages of Title 26 of the U.S. Code. Or is there a resistance to opening the Pandora’s Box of income tax equity: re-looking at our objectives and how we can achieve those objectives with income tax restructuring? It’s time we talk. Stop the diversions into sexual transgressions, name calling, idol worshipping (that includes American Idol and Ayn Rand). Let’s find out what we have in common, our sense of fairness, with respect to income taxes. For a moment, let’s suspend the discussion of what’s the ‘right’ amount of income tax we need to raise. Here are some proposed fairness adjustments to the income tax code and several necessary changes to make the adjustments work for individuals, corporations and the federal budget. 1. Mortgage interest deduction - Keep it to encourage home ownership, but limit the amount of interest deductable to $40,000 per year and only for one mortgage per household. 2. Charitable deduction – Keep it to encourage giving, but limit the income reduction of contributions to no more than ten percent of income. 3. Income is income – Treat all income has ordinary income. The stock market is not some nascent or intrinsically valuable social service that needs our subsidization. 4. Progressive income tax rates – Modify the rates to make them lower, simpler to implement (that is, less deductions and less tax code instruction pages) and apply the same rates to individuals and corporations. 5. Income tax waiver – Exempt from paying income taxes those individuals grossing $60,000 per year and corporations grossing $500,000 or less. 6. Retirement and Medical Plans – Require all individuals and private corporations to pay social security and Medicare taxes on all income. 7. Medicare tax rate – Double the rate (currently 1.45 percent) for individuals and employers and eliminate the need for out-of-pocket medical expenses of those receiving Medicare benefits. 8. Medicare for all – Make everyone eligible for Medicare, raise the reimbursement rates to be competitive with insurance rates, and vigorously enforce anti-fraud practices. 9. All federal subsidies (other than mortgage and charitable contributions) should be made outside the tax code. For example, rather than tax deductions for drilling oil or implementing solar power, direct government grants could be issued as part of the budget process. Tax code deductions and credits are for the wealthy and are not discussed as openly as comprehensive budget deliberations about our collective priorities. Can we agree on the concepts? If not, let’s work it out, find common ground. Then let’s see what the impact would be on federal tax revenues. We can tweak the tax rates to bring in the right amount . . . whatever that is.